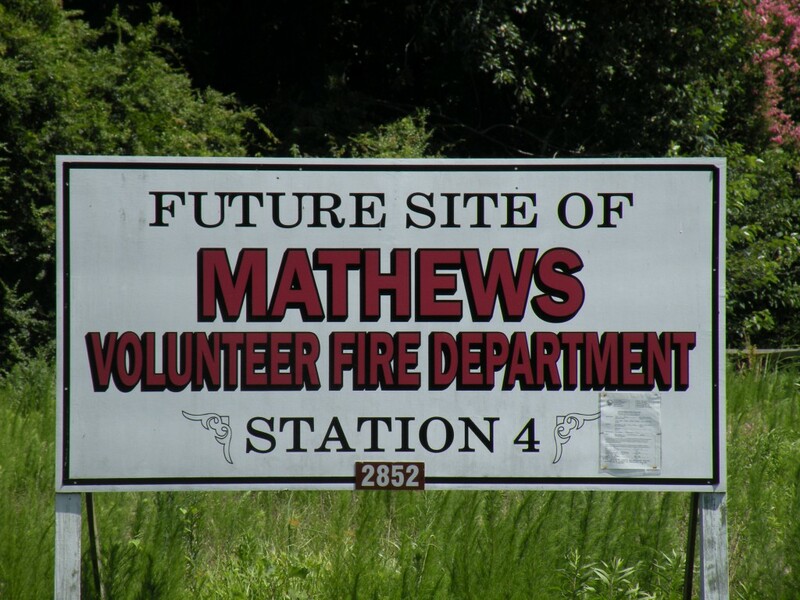 For the last several years, the Mathews Volunteer Fire Department has been planning and working towards building a new fire station at Cobbs Creek. The final plans were approved by the department, after several months of meetings, studies, and designs. The plans were put out to bid, and several construction companies submitted proposals to the department. After careful consideration and review of the proposals, the fire department selected the Bush Construction Corporation. OnJuly 24, 2013MVFD President Calvin Morgan and Bush Construction vice president Mark Rinaldi executed the contract to build the new fire station. The construction of the 2,800 square foot building is expected to begin in approx. 60 days and is to be substantially completed in not more than 180 days after construction begins. The new fire station is projected to cost the department $253,000.